Today's project is one I am doing for my class on Saturday. 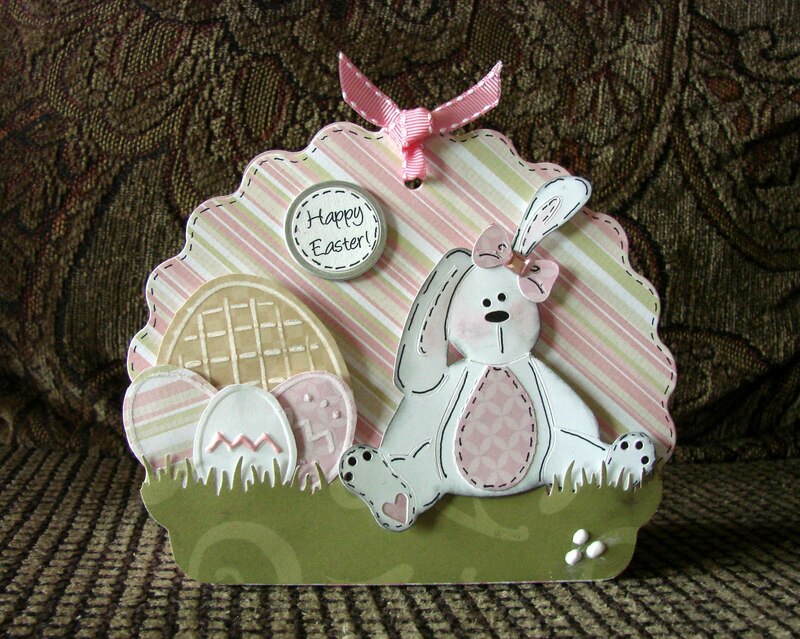 It's a Sizzix box die decorated for Easter. 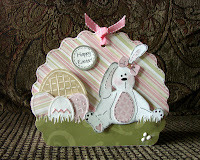 The bunny is also a Sizzix die and the eggs are Lasting Impressions' Templates. I think this little guy is absolutely adorable! Ooops just noticed the bow ... Love love love it! More stamping ... Oh no!